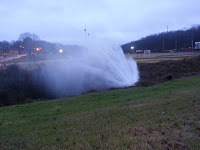 Helena-West Helena --- Early this morning, Coach Willie Jackson discovered a water line break on Oakland Avenue. This water line apparently services the area of Stonebrook Road and the shops on Oakland in front of Stonebrook Road. Stack's Hair Affair is located immediately across from the water line break. Coach Jackson was headed to work early this morning and happened upon water shooting 15-20 feet into the air and blocking the view of Cad Polk Stadium. 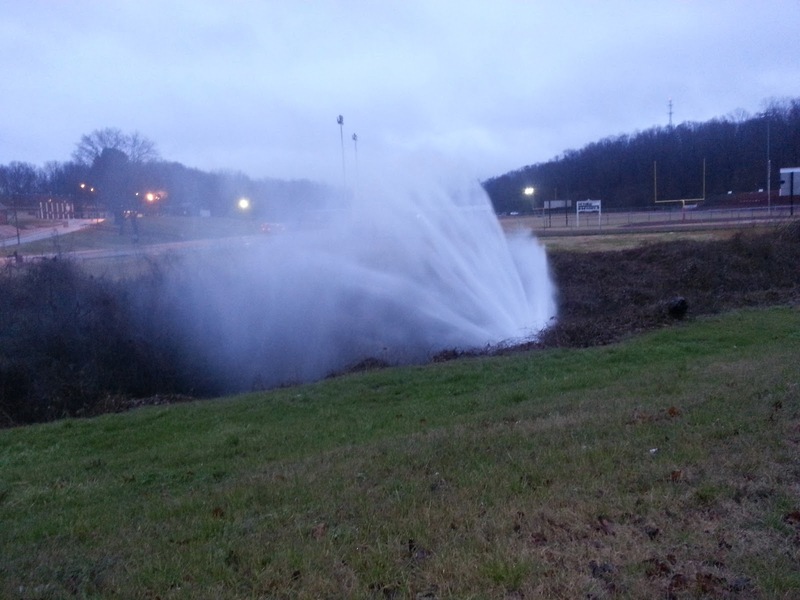 City officials have reported that this water leak will not likely affect school because there is a secondary water line which feeds the school from Springdale Road. The repair of this line will take much of the business day and those on Stonebrook with have to adjust accordingly. It does appear to be a problem that the local water company employees can and will repair today. The video below shows parts of the area affected and the water shooting into the air. As more and better information becomes available, we will share it with you.